Charles L. Riter was born and raised in Pierre, South Dakota, and graduated from Pierre Riggs High School. He attended Northwestern University and graduated from the University of South Dakota with degrees in accounting and law. Chuck was then a lawyer in the office of the District Counsel for the Internal Revenue Service in St. Paul, Minnesota, for four years before moving to Rapid City, South Dakota, where he has been an associate and partner for the last 47 years in the Bangs, McCullen, Butler, Foye & Simmons, L.L.P. firm. 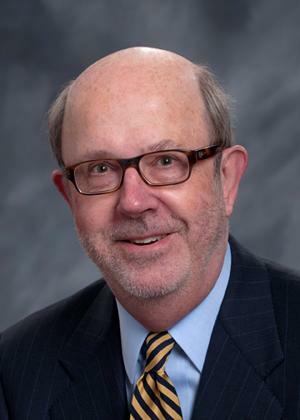 Chuck has been a member of the executive committee and trustee of the University of South Dakota Foundation, a member of the board of directors of the South Dakota Community Foundation, Youth and Family Services, Black Hills Area Boy Scout Council, USD Law School Foundation, and Clarkson Mt. View Guest Home. Chuck lives in Rapid City with his wife, Kathleen, and is fortunate to have his daughter, Amy, and her daughter, Izebella, and his daughter, Shannon, and her husband, Kevin, also living there.